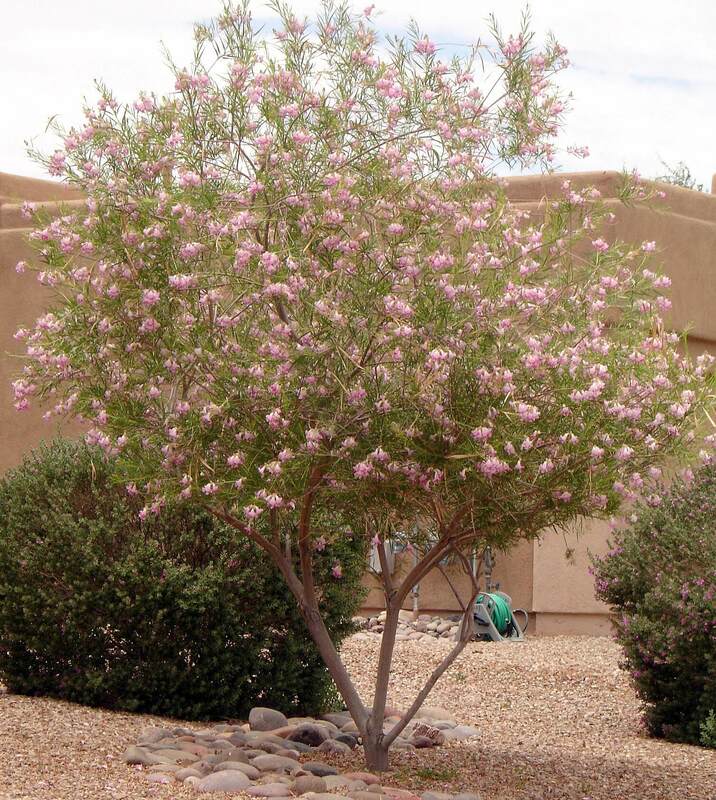 Sky flower is a showy evergreen that grows eighteen feet tall and wide, if it doesn’t freeze back. It is a multi-trunk plant with arching branches that droop and trail in a downward appearance. Some species have spines on them, while others are spineless. The dark green foliage is thin with long leaves arranged in whorls of three and pointed at the tip. 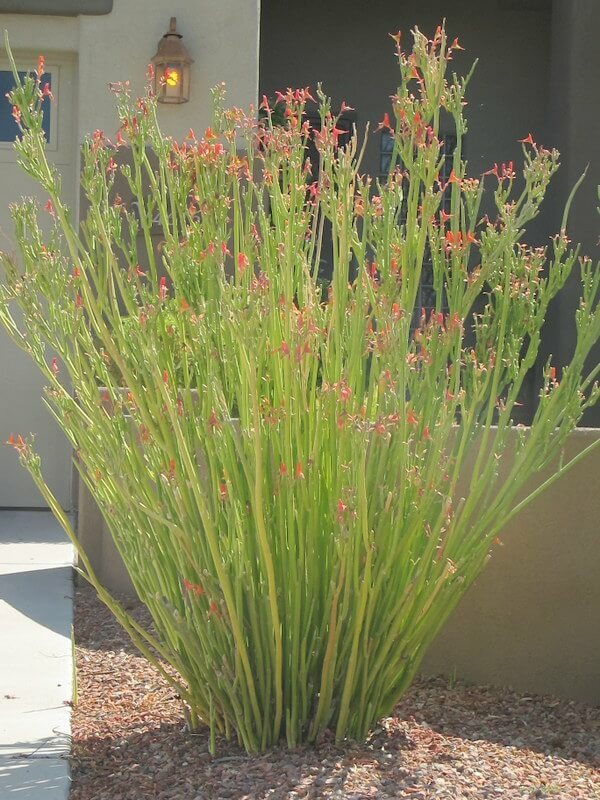 This plant produces showy, bluish-purple, tubular blossoms that flower for most of the year in warmer climates. It also attracts butterflies. 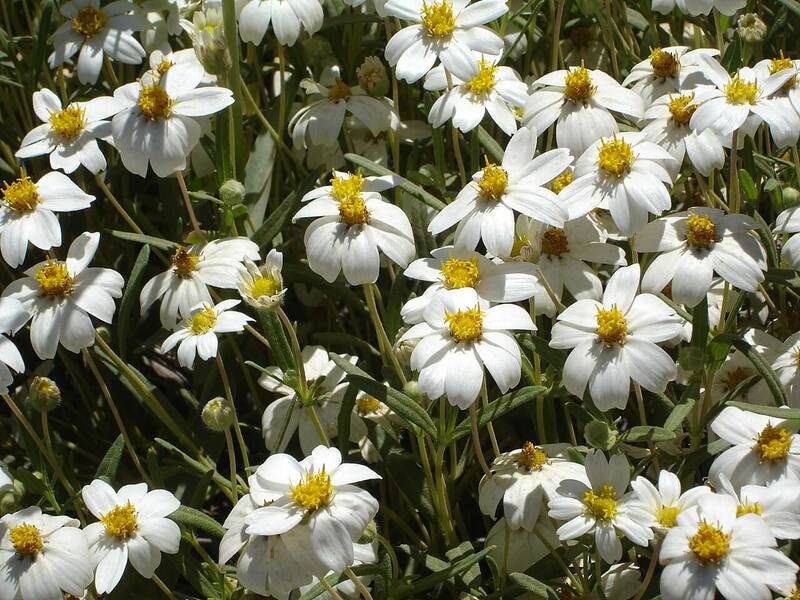 There are a number of varieties available, including one that produces a white flower. 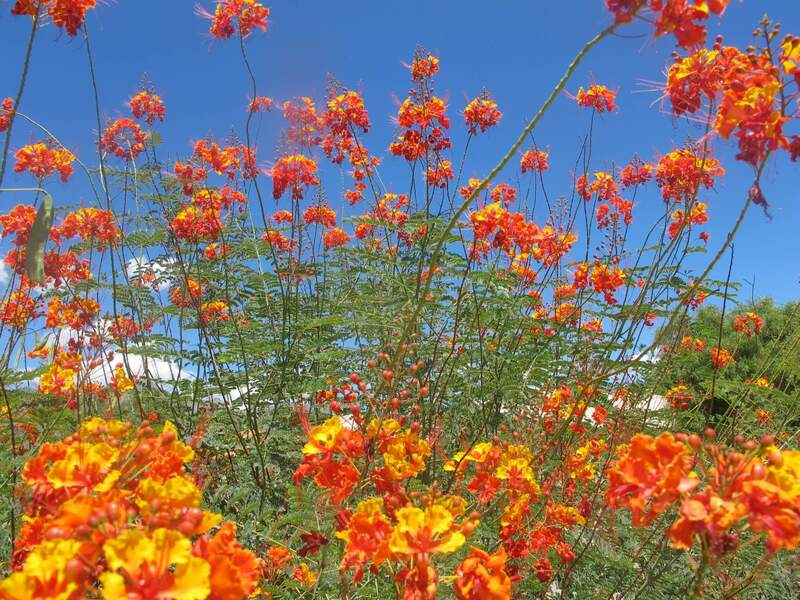 In the Southwest desert, the sky flower begins blooming in the spring and continues its magnificent color show throughout the fall, until the first frost. It also produces a showy, golden yellow berry that hangs from the plant. The berry is poisonous to humans. 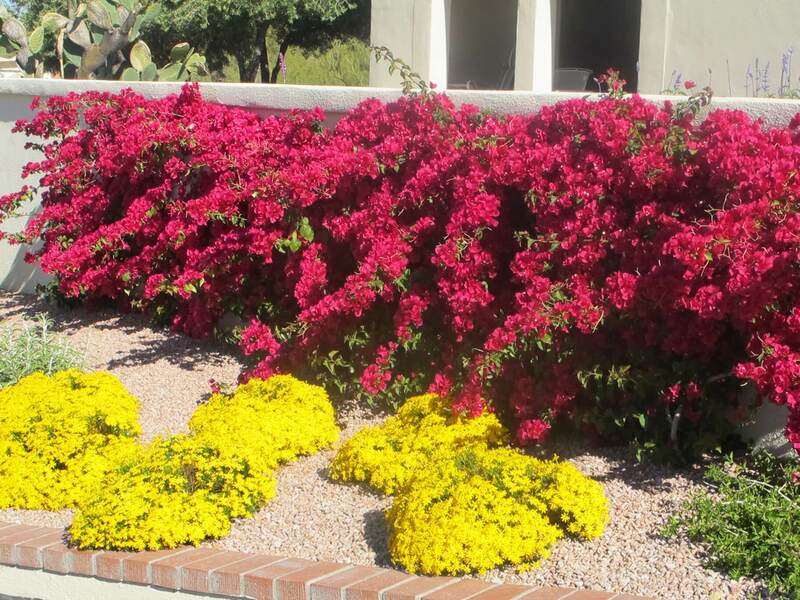 Use it as a large background shrub for its amazing flower color, as a screen, windbreak, or container plant around patios, pools, and water features. The plant is native to the scrubby woodlands of the West Indies and Central and South America. It has become established in western Texas and Florida. 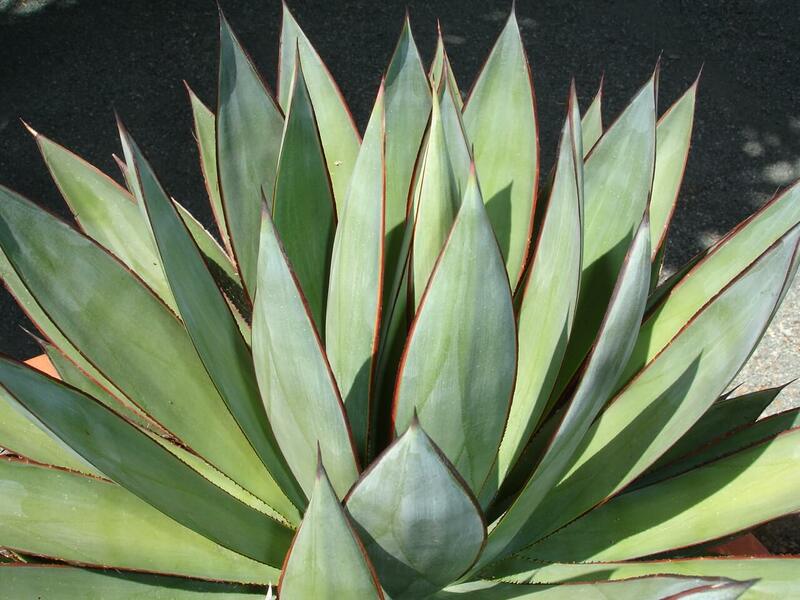 It grows best in full sun or partial shade and does not like reflected heat. Sky flower prefers frequent irrigation and well-draining, rich soil, but also tolerates rocky, alkaline soil and salty air. This plant will freeze in temperatures below the low thirties, but its roots are hardy into the low twenty degrees Fahrenheit. It may not fruit in colder locations. If frosted back, it recovers quickly in the spring.